What are the lessons for today? Did NATO’s intervention in the Balkans work? The European: Mr Knaus, there is an ongoing war in Eastern Ukraine. Syria is in flames. Libya a collapsed state. There are frozen conflicts throughout Eastern Europe, from Moldova to the Caucasus. And yet, the Western Balkans, which saw four wars in the 1990s with millions of people displaced and hundreds of thousands killed, are peaceful. Can NATO claim credit for this? And what does it tell us about the future of intervention? Gerald Knaus: Intervention can work because it did, in the Balkans in the 1990s. It can lay the foundation for lasting peace. We saw this in Western Europe after 1945 and again in the Balkans after 1999. The fact that the Balkans have been at peace for more than two decades is remarkable. The fact that FYROM (Former Yugoslavian Republic of Macedonia) is likely to join NATO soon, after finding a difficult compromise on a complex dispute with its Greek neighbour, is striking. The European: For what reasons did NATO succeed better in the Balkans than elsewhere where it deployed troops? Gerald Knaus: We can distinguish three phases. 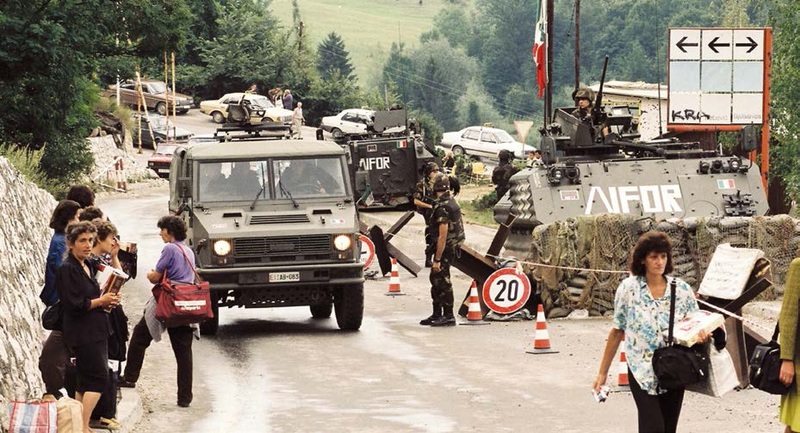 In 1995, NATO’s military intervention tipped the military balance after the three-year war in Bosnia and Herzegovina. US diplomacy then exploited this to negotiate what was essentially a ceasefire. The deployment of 60,000 IFOR troops in 1996 was initially designed to police this cease-fire for one year. As US president Clinton explained at the time, the mission of US troops was to monitor a “zone of separation” between two hostile entities in Bosnia and Herzegovina, each of which kept its independent army. It was to create “breathing room” for the US to arm one of these armies. After the Kosovo war in 1999 and the fall of Serbian president Slobodan Milošević after protests in Belgrade in 2000, ambitions grew dramatically. The goal became creating a united Bosnian army, a joint intelligence service, and to make the zone of separation inside Bosnia invisible in daily life. This succeeded remarkably well. Finally, following its Thessaloniki summit in summer 2003, the EU made an attractive offer to Balkan elites: to transform the political culture of the region by breaking with the nationalism of the past so that their societies might enjoy peace and prosperity as future members of a united Europe. The European: You write in your book1 that the many counter- insurgency campaigns, “nation building under fire”, and military occupation are bad. How then did NATO succeed in ending the fighting in the Balkans? 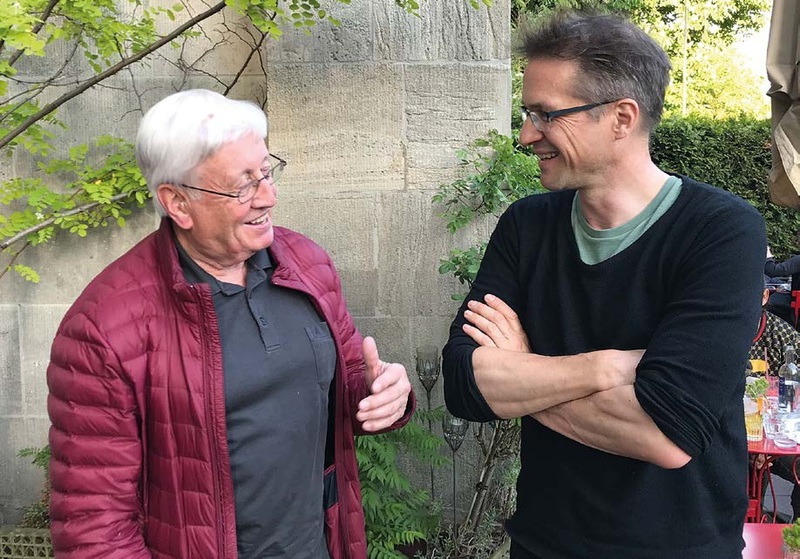 Gerald Knaus: Historian David Edelstein, who studied twenty- six military occupations from 1815 onwards around the world, found that only seven succeeded. We must add Bosnia and Kosovo to that short list. However, NATO never attempted nation-building under fire in the Balkans. NATO deployed its large missions – IFOR, SFOR, KFOR – only after diplomats had already negotiated peace agreements with all the key powers on the ground. Richard Holbrook wrote in his remarkable book “To Win a War” that “in any case, we would not deploy American or other NATO troops absent ironclad guarantees from all three parties concerning their safety, access and authority.” This meant that NATO was highly risk averse. At the same time, NATO did not withdraw prematurely: IFOR gave way to SFOR, which remained in Bosnia until 2004, and KFOR is still in Kosovo. The European: Did the diplomats who negotiated peace with the politicians responsible for the war and ethnic cleansing set aside moral principles to get to peace? Gerald Knaus: The Dayton Peace Agreement recognised the reality of the balance of power in 1995. However, it did not accept the legitimacy of ethnic cleansing. The right to return of people and property was a core principle at Dayton. In 1995, this looked like an impossible promise. Right after the war I personally witnessed a lot of violence against returnees. However, the international community never gave up on the idea of returns and allied itself with the hundreds of thousands of displaced Bosnians who felt entitled to their homes. Restitution laws were passed in 1998. After 2000, all two hundred thousand property claims were resolved in four years. If you visit the city of Doboj in the Serb entity of Bosnia and Herzegovina today, you will hear the call to prayer from a reconstructed minaret and see a large number of Bosniak Muslims who returned to their villages. The European: What was the relationship between the peace making with the very leaders responsible for war crimes and justice, the International Criminal Tribunal for the Former Yugoslavia (ICTY) in particular? Gerald Knaus: This is a fascinating lesson of the Balkan intervention. On the one hand, Western diplomats negotiated with the very leaders responsible for horrific atrocities. Chief US negotiator Richard Holbrooke referred to his relationship with Serbian president Milosevic in 1995 as “bonding with the Godfather.” When asked to sit down with the Bosnian Serb leaders, Holbrooke reminded himself of Swedish diplomat Wallenberg sitting down with Eichmann during the Holocaust to save Hungarian Jews. However, the US and the EU also backed the work of the ICTY. The European: This court, created by the United Nations in May 1993, had looked impotent for many years, hadn’t it? Gerald Knaus: When the war in Bosnia came to an end it had only one indicted person in its jail. But then the court began to have a major impact. It discredited the agenda of fighting wars in the name of ethnic purity. It indicted most war-time leaders. The complex lesson: to make peace, talk to everyone. To get justice, establish a mechanism of accountability that works slowly, but seriously, in the background. The European: In 2004 NATO handed over the military mission in Bosnia to the European Union (EU). Since then the number of international troops has steadily been reduced. What can be learned from this transfer and the fact that today another armed conflict seems impossible? Gerald Knaus: If nobody expects a new armed conflict, nobody will see a need to prepare for one. Balkan leaders in recent years won elections with the promise of a European future. We saw this recently in FYROM. This vision underpins reconciliation between different groups. Whenever leaders give up on the idea of integration, as was the case of Nikola Gruevski, the former prime minister of FYROM, aggressive nationalism returns. The return of nationalist ideals and indifference to European integration is thus the biggest security threat. Aggressive nationalism is a drug peddled by intellectuals. It is in the realm of ideas that peace must be defended going forward. The European: If we look at the EU today, is such an offer of full integration of the Balkan region still credible? And what would be the effect if it was to be withdrawn? Gerald Knaus: The promise that Western Balkan countries may one day join the EU and partake in its promise of prosperity and democratic stability is central to peace in the region. It is vital to the EU’s interests to keep this promise credible. At the same time, this promise requires popular support in European democracies which cannot be taken for granted. Western Balkan leaders need to demonstrate that the eventual accession of their countries will strengthen, not weaken, the EU. This is hard. They need to persuade skeptical audiences in all EU member states. This will take statesmanship. And success is certainly not guaranteed. The European: There are many, particularly in Paris and The Hague, who believe that the EU cannot afford to take in more poor countries with a weak rule of law. There are also serious problems with organised crime and corruption. Will further enlargement not weaken the EU? Gerald Knaus: The Western Balkan states are surrounded by NATO and EU members. They are already “inside”, as became obvious during the 2015 refugee crisis. The main question is how to ensure that they develop strong enough institutions to cooperate with the EU in meeting common challenges. It is crucial for both the EU and the Balkans that the EU strengthens mechanisms to defend the rule of law against challenges and to identify red lines which cannot be crossed by future and current EU members. The European: How do you explain the recent breakthrough – or at least the recent compromise – in the talks between Skopje and Athens on the name of ‘Macedonia’? Gerald Knaus: It is the result of courageous leadership in both capitals. Leaders of Greece and of what will become the Republic of Northern Macedonia showed how nations can set aside grievances of the past. Only two years ago FYROM made very different headlines as a country in which journalists were attacked and in which security services illegally wiretapped thousands of people. It had a government fostering worship of Alexander the Great to provoke its Greek neighbours. In April 2017, the parliament was stormed with attacks of opposition MPs. Following this a new government under Prime Minister Zoran Zaev responded to this threat of instability in a constructive way: reaching out to neighbours, both Bulgaria and Greece, and to the EU. The European: There are still hurdles to overcome! Gerald Knaus: The promise that Western Balkan countries may one day join the EU and partake in its promise of prosperity and democratic stability is central to peace in the region: in Skopje a two-thirds majority is needed in parliament to change the constitution. A referendum will be held in the autumn, which supporters of the agreement need to win. Both NATO and the EU have an interest in this succeeding. The European: You mention that Bosnia has had a series of democratic elections since 1996. But is this enough, given that ethnically based parties keep winning these elections? Will the elections in 2018 be any different? Gerald Knaus: ESI wrote a lot on the powerful clichés about Bosnia and Herzegovina.2 The view that nothing ever changes there is such a cliché. In fact, compared to other countries in South East Europe, Bosnia has had many alternations in power, in all positions and at all levels. It has held seven general elections since the end of the war: in 1996, 1998, 2000, 2002, 2006, 2010 and 2014. Bosnian voters are no more obsessed with ethnicity than citizens in other multi-ethnic countries in Europe. The European: What does Bosnia need now for stability and progress? Gerald Knaus: A credible promise that if elections in autumn 2018 go well, the next government formed has a chance to quickly begin accession talks with the EU. This would give the EU the leverage it needs to support much-needed reforms. The European: What about the influence of Russia in the Balkans? Does Russia have an interest to undermine the Euro-Atlantic integration of the region? Gerald Knaus: Russia does not like to see NATO and the EU expand. However, whatever NATO, the EU and Balkan leaders decide, Moscow has not been able to stop accession: not in Albania, not in Montenegro, and it is very likely that it will not succeed in FYROM either. All the EU and NATO need to do to win in the Balkans is to play their cards right. The promise of a future as members of the transatlantic community is a powerful incentive, as long as it remains credible. Russia has nothing comparable to offer. The European: Mr Knaus, let me thank you for this very insightful conversation. IFOR (Implementation Force): NATO-led multinational peace enforcement force. Based on UN Security Council Resolution 1031, NATO was given a one-year mandate to implement the military aspects of the Dayton Peace Agreement in Bosnia and Herzegovina. IFOR started its mission on 20 December 1995 (Operation Joint Endeavour). SFOR (Stabilization Force): Under UN Security Council Resolution 1088 of 12 December 1996, SFOR was authorised to implement the military aspects of the Peace Agreement as the legal successor to IFOR (Operation Joint Guard / Operation Joint Forge). The primary mission of SFOR was to contribute to the safe and secure environment necessary for the consolidation of peace. KFOR (Kosovo Force): NATO-led international peace-support force responsible for establishing a secure environment in Kosovo (June 1999 – until today). The operations mandate derives from UN Security Council Resolution 1244 and the Military-Technical Agreement between NATO, the Federal Republic of Yugoslavia and Serbia.